We, the Musicians of the Philadelphia Orchestra, with the deepest respect for our music, our audience, the City of Philadelphia, and the world's musical community, have today ratified a new contract. This agreement covers the next 3 years, and gives us modest increases of 2%, 2 1/2% and 2 1/2%. These increases do not achieve our goal of being compensated on a level comparable with other leading American Orchestras. The Philadelphia Orchestra Association has indicated to us that it will be engaging in new methods to enhance the position of the Orchestra in the community and to reach new donors. The musicians have committed to working with the Association in these endeavors. The musicians believe that the vast majority of the recommendations made by Michael Kaiser should be adopted by the Association. We will be closely watching to see if this occurs. When we reluctantly went on strike a few days ago, we had no expectation that we could quickly restore this Orchestra to the compensation and working conditions for which we are striving. But we felt that, after years of decline which threatened to become irreversible, this was the only way in which we could call attention to a situation we regarded as desperate. We hope to see you at any of our October 4th Audience Appreciation Day concerts. Further information can be found on our website: www.POMusicians.org. The Philadelphia Orchestra Musicians have voted to accept the outline of a new one-year contract today so that the 2015-2016 season can continue without interruption for all the music lovers in Philadelphia and around the world who treasure the sounds of the internationally acclaimed Philadelphia Orchestra. This one year contract provides for a 3% weekly salary increase effective November 30, 2015, and the restoration of one full time musician to the Orchestra next year. After this raise, the salary of the musicians will be 12.7% less than that of the New York Philharmonic, 15.5% less than the Boston Symphony and 19.6% less than the Chicago Symphony. The additional musician will make an orchestra of 96 full time musicians, which is nine less than the full strength of the Orchestra. 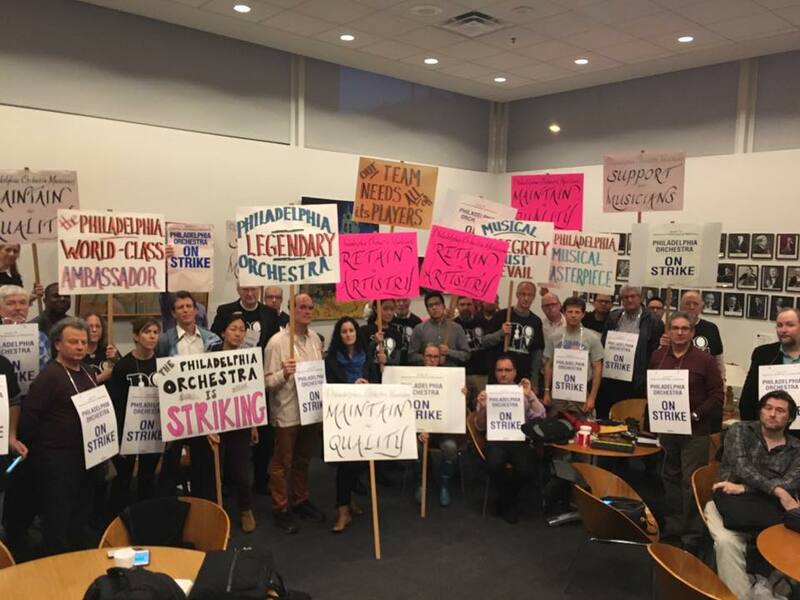 Philadelphia Orchestra Musicians should be compensated as well as other great American orchestras so that the current world-class status of the orchestra may be maintained. Several members of the Philadelphia Orchestra have recently left, and more are planning to leave, in search of better opportunities elsewhere. Director, Yannick Nézet-Séguin, we have decided against a work stoppage. We hope that, for all of our sakes, the picture will be much better a year from now.